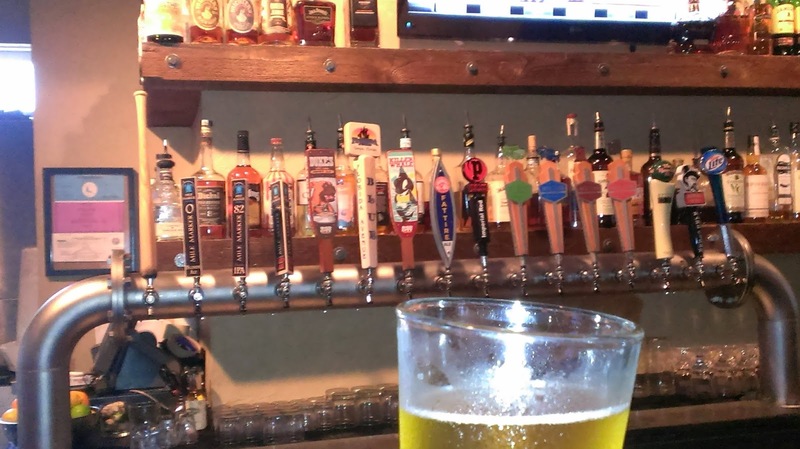 BrewNymph®: Want Some Craft Brew with that BBQ in the Old City? 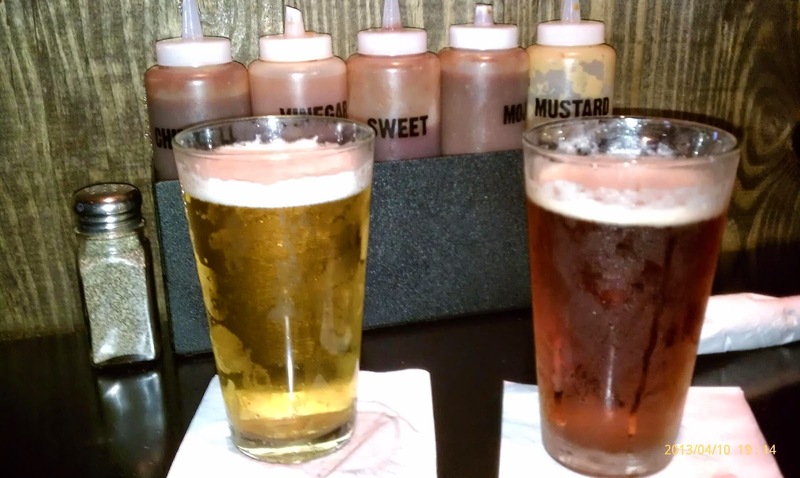 Want Some Craft Brew with that BBQ in the Old City? Well, sure, I've been here before, and this is one of my favorite places for good ol' BBQ, comfort food, and some great craft brews. If you're hungry in downtown St. Augustine, this is a sure bet. A recent visit on a quiet night was quite relaxing, and I had some awesome BBQ and beer (but I expected that)! Located adjacent to the Historic Parking Garage just across Orange St., it's a quick walk. There's also a very small free customer parking lot on site, but you probably won't find a spot there. A larger paid lot sits behind the building. I tend to find the garage the way to go, especially with the resident Park Now card. Fronting Cordova St., the property starts with a large outdoor patio seating area. Your olfactory senses immediately let you know you're at a BBQ place, and you will be chomping at the bit to get some of that awesome BBQ as soon as you get here. Inside, the dining area is large with tables and booths. It can get noisy here, but that's part of the ambience, if you ask me (but I tend to be loud anyway). To the right is a large, full-service bar area with ample tables and seating. Several TVs are featured. There's also another outdoor patio area in the rear off the bar. I always find the staff to be quite friendly here, too. This is from the Mojo Old City BBQ Facebook page. Couldn't find my exterior photo. So, let's get to it, but I'm not sure where to start. 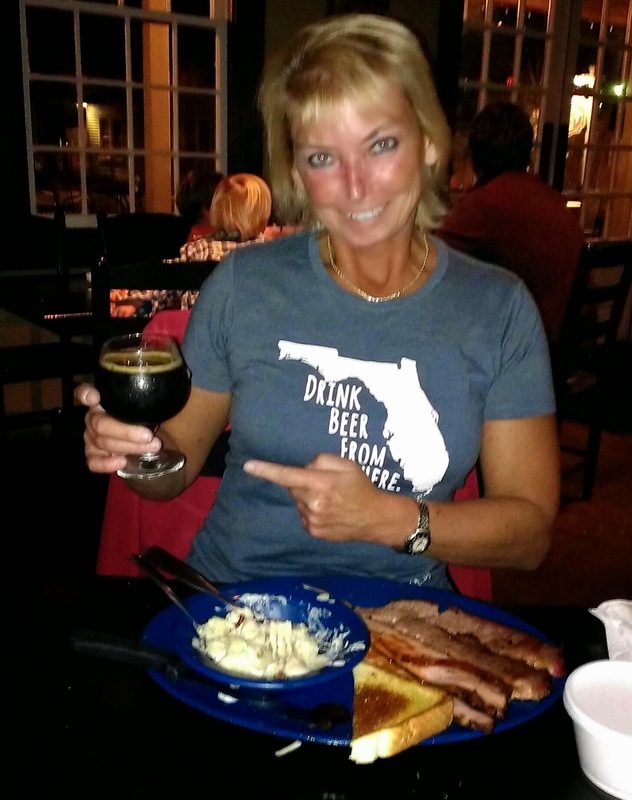 You can't go wrong with the food --- or the beer --- here. OK, let's start beer. The first thing you notice on the 16 taps (did I count right?) is the amount of local-brewed craft beer. Good job, guys, always support local. On this recent visit, there were three Mile Marker Brewing beers, four from Intuition Ale Works, two from Bold City Brewery, and one from Pinglehead -- all local to this area. Also, Florida Ave Blue was on tap, a very good, refreshing blueberry ale from just outside of Tampa. Rounding out the tap list were Bell's Two-Hearted Ale, Fat Tire, and a cider. All in all, a very strong showing, featuring a good variety of different styles that appeal to everyone, I think. And, yeah, there are those other mainstays, too (c'mon, you know the ones: Bud, Stella, Corona, Miller, etc.). Look at all that good craft brew. And, local, too! That's a Mile Marker Blonde Ale on this visit. So, it's worth coming here just for the beer with a brew list like that! And, then, there's Happy Hour on top of it, from 3-7 daily. You could just hang out the bar and drink. But, what do you say, you're hungry, too? This photo is from a prior visit, but you get the idea. And, that's a King St. Imperial Stout from Intuition Ale Works. Then, you've come to the right place. They recently changed the menu just a bit from the last time I was here, but the favorite comfort foods are here. The food choices range from various BBQ meats (which you can combo, by the way, like brisket, pulled pork, chicken, turkey), to steak, catfish, shrimp, mahi, chicken, and sandwiches. And, hey, those side dishes are worth talking about too (you get two): salad, mac and cheese, mashed potatoes with yummy country gravy, just to name a few, along with Texas toast. On this particular visit, I ordered the combo smoked turkey/brisket, and, some of that went back with me for the next day's lunch. Be prepared to take a "to-go" box. I've always had a good meal here, and the BBQ is well-prepared. No BBQ place would be complete without sauce. Mojo offers 5 sauces on every table, but the Sweet is my favorite. So, looking for Brew and Q? Get over here: you won't leave hungry, and the beer list will satisfy your taste buds' cravings for hops. 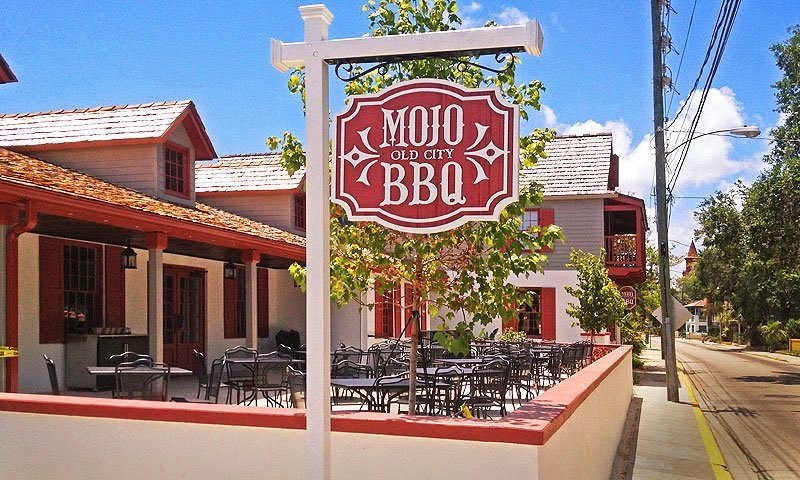 Mojo Old City BBQ is located at 5 Cordova St. in downtown St. Augustine. They have other locations around Jax, too. Check out the website. Also on social media.